Plans for a new Retail Park development in Amble, including Morrison’s groundbreaking “Neighbourhood Food Store” a first for the North East, will go on display next week. The public will get the opportunity to comment on the new retail development proposed on the site of the former Northumberland Foods Factory on Amble’s industrial estate. The plans will go on display on Tuesday 24th July, from 14:00pm – 19:00pm at Amble Development Trust, Fourways2, 6 Dilston Terrace, Amble, NE65 0DT. In a joint development between Arch and supermarket Morrisons, the scheme will comprise of a 25,000 sq ft Morrisons food store, alongside a number of other national retailers, a petrol filling station and a Drive Thru facility. “Located on the famous Northumberland ‘Coastal Route’, this development will transform the southern gateway into Amble and provide a destination of choice. It will bring jobs to the local area and ensure Amble has the shopping experience it deserves. We are also keen to ensure there are retail units available for local traders and opportunities to sell local produce. Completing the development of a key site as part of the broader regeneration of Amble by Arch. As well as the 25,000 sqft supermarket, there will be an additional c.35,000 sqft of other retail, split across units ranging from 1,000 to 10,000 sqft. The development will also include improved vehicle access into the site, and improved connectivity to the surrounding housing for both pedestrian and cyclists and car parking. Subject to the consultation, the planning application submission is targeted for late summer and subject to approval work is anticipated to commence early 2019 with a store opening later that year. 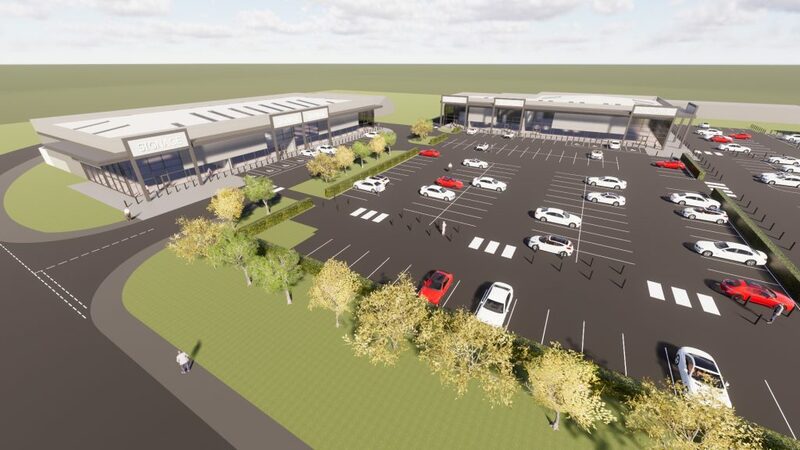 15 thoughts on "Retail park plans go on show"
Fantastic news looking forward to being able to shop where I live and not have to travel , I think this will give Amble another boost to improvements already being made . Local jobs for local folk can only be a good thing for Amble. It will bring more shoppers into town from surrounding areas. Amble has always lived in the shadow of Alnwick under Alnwick District Council days. Good in some respects but hope it doesn’t destroy the High Street and damage the restaurants and coffee shops which it undoubtedly will. Desperately needed a supermarket where we will be able to buy not so expensive food at long last,now I won’t need to go to Alnwick or Ashington for a shop. Don’t underestimate the life span of the local shops,people will still need them. Amble needs a full supermarket along with its current convenience stores. It’s getting bigger and it should be much greener as far as travelling to other towns to caarry out ones main shopping. As Amble is now becomming more of a tourist destinatiion it puzzles me why the majority of shops and pods are closed by 5.00pm. Ther is nothing to see and nowhere to go between then and when the restaurants open at 7.00pm. Most resorts I have been to keep open until much later. At last. Not before time. We have lived 2 mile from Amble for 111:2 Years and when We bought Our Hone We were conned in to believing the area was going to get developed. Shops,, golf course etc etc and House prices would rocket. Complete opposite. House prices have plummeted and no developments in over a decade. Still waiting.